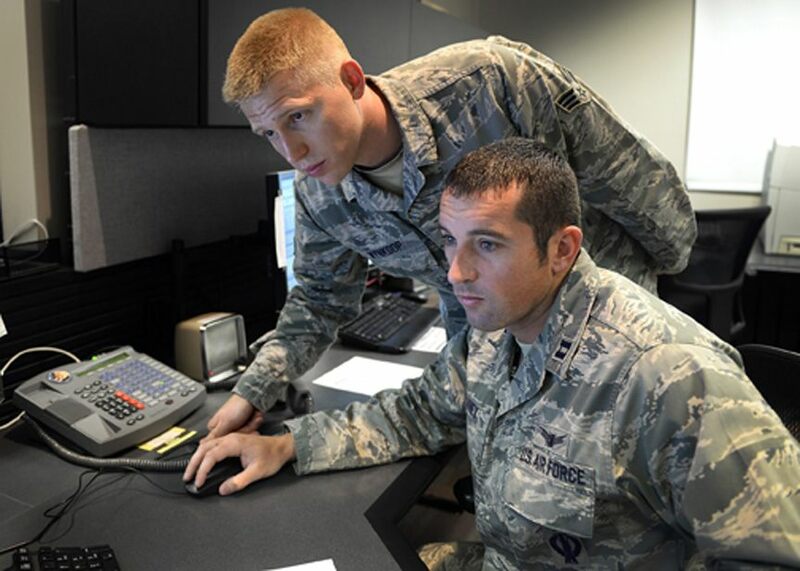 The 2nd and 19th Space Operations Squadrons (SOPS), who operate the GPS satellite constellation from Schriever Air Force Base, Colorado, are hosting GPS week February 15-20 to honor their heritage and interact directly with the Colorado Springs community. Among other goals, organizers hope that it will help clear up common misunderstandings among GPS users who may have used the GPS navigation system either on their phone or car and somehow ended up lost, cold, and hungry. "GPS did not get you lost," said Lt. Col. Matthew Brandt, 2 SOPS director of operations. "The GPS signal coming from the satellites is pristine. It has to be." The two squadrons have to ensure perfect signals because GPS does a whole lot more than provide everyone directions to grandma’s house. It serves as an essential and vital part of mission success for the many career fields of its estimated three billion users, Brandt said. In addition to myriad civil applications, GPS plays a crucial role in U.S. and allied military operations. "Somebody somewhere is using that signal to put a bomb on a target and kill a bad guy," he said. "Somebody is using GPS to pull an extraction or using it to call in an airstrike." "The first GPS launch was in 1978 and we have been doing operations for 36 years," said Brandt. Brandt said a lot of people think of GPS as an app on their phone. "They don’t realize the infrastructure that’s behind it," he added. "They don’t think about the 38 satellites in orbit and the hundreds of thousands of people who have built, designed, and made it possible." The week kicks off with a community Geocaching event February 15 at Memorial Park, which is open to the Colorado Springs community. On February 17, the squadrons will be hosting middle and high school students on a tour of the base to learn about GPS and space. The culminating event for GPS Heritage Week will be a dinner celebration February 20 at the Antlers Hilton in Colorado Springs, featuring guest speaker Brad Parkinson, the first director of the GPS Joint Program Office and current chairman of the National Space-Based PNT Advisory Board. Brandt hopes the dinner will allow the Schriever GPS operators to hear the stories of the early pioneers and what they went through to make GPS happen. "I hope they see that this thing is much bigger than just sending a command to the satellite," he said. " It took a lot to get here." Tech. Sgt. Abifarin Scott, 2nd Space Operations Squadron GPS maintenance flight chief, is the overall coordinator for GPS week.